Prince Philip, Duke of Edinburgh attends the wedding of Princess Eugenie of York to Jack Brooksbank at St. George's Chapel on October 12, 2018 in Windsor, England. The palace said that the accident happened near the queen's country retreat in eastern England. 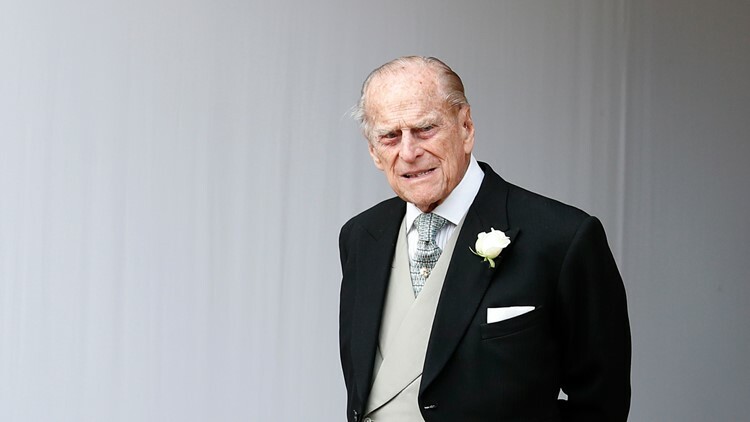 LONDON, UK — Buckingham Palace says the 97-year-old husband of Britain's Queen Elizabeth II, Prince Philip, has been in a car accident but wasn't injured.